a spot of whimsy: the codfish ball. 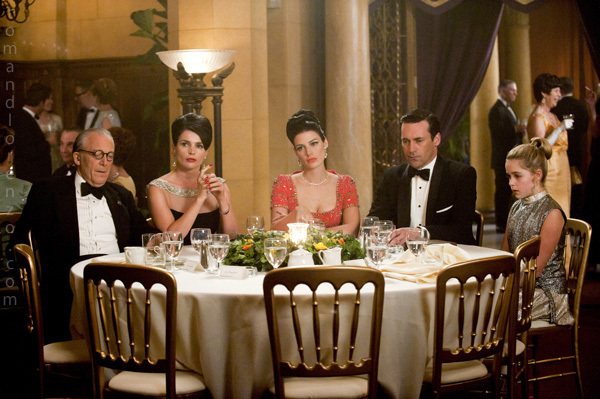 are you all enjoying the long-awaited season 5 of mad men as much as i am?! so much of the character work of the early seasons is really paying off. it's also the funniest season - perhaps unintentionally? i mean everything out of roger's and pete's mouth has me loling, particularly "i know cooler heads should prevail, but am i the only one who wants to see this?" - to date. anyway, last sunday's episode, at the codfish ball, had some of the greatest fashion of the season as well. janie bryant is a genius. p.s. tom & lorenzo's mad style posts are still absolutely the best way to appreciate each episode. they just kill it. if you're looking for more, following janie bryant on twitter is a fantastic supplement as well. sabrina... one of my most fav. movies !! julie - ahhh i love that!! taylor - hahaha i'd almost forgotten about the sally lisp!